Once again December snuck up on me like a green and red tinseled puma, and that means I only have a month to get through my pile of Christmas mysteries! Lil Bootz and I decided to commence the season of holiday cozies with this dog- and cat-themed mystery series by the lovely and talented Bethany Blake. As usual, she delivered a fast-paced whodunnit that puzzled us until the final chapters. Here’s our assessment of A Midwinter’s Tail! Note: we scored a free ARC on Netgalley in return for an honest review. In a nutshell: In this fourth installment of the Lucky Paws Petsitting Mystery series our leading lady Daphne Templeton is settling into her new life as a petsitter for the townsfolk of Sylvian Creek. Since moving into her cute little cottage on her sister’s farm, she’s stumbled upon quite a few dead bodies, which makes me wonder if perhaps she, like J.B. Fletcher and all the other lovely amateur sleuths in these picturesque small towns, is indeed a harbinger of death! Either way, Daphne is a delightful animal-rescuing lady who I adore, so let’s just ignore the possibility that she’s a jinx and move on. In this mystery, she takes an unwanted trip down memory lane when CeeCee French–a former high school mean girl–is found dead under the town Christmas tree. Things get stickier than a melted candy cane when Daphne’s BFF becomes the prime suspect! Will she find the killer before another unwanted present ends up under the tree? Will Daphne’s crush finally get over his issues and smooch her under the mistletoe? Will Socrates find love amidst all the murder and mayhem? You’ll have to read the book to find out! What we liked: What don’t I like about this series!? I read a lot of cozies, but this is one of my faves because Daphne is such an endearing, relatable character who revolves her life around animals. I love that her pups play big roles in the mysteries and that they tag along with her everywhere she goes. What needs work: MORE TINKLESTON, PLEASE! Daphne needs to figure out a way to take her little black kitty along on her many adventures. Why not put him in a harness or tote him around in a kitty satchel? He would’ve looked so cute in a little bowtie at the Bark the Halls Ball…just saying. 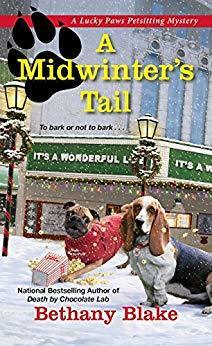 Favorite character: In this particular book, I most enjoyed the clumsy little trouble-making pug donning a little red sweater emblazoned with the words “Bah Humpug.” He cracked me up every time he’d enter a scene like a miniature bull in a china shop. I hope this isn’t the last we see of him in the series, especially since he has a magical ability for finding clues while wrecking havoc along the way. Least favorite character: Of course, the worst, most repugnant character of all is CeeCee French! What’s to like about a woman who never outgrew her high school “mean girl” persona? Even worse, she runs a company that makes toxic dog food!!! I was happy as a pug with a chew toy when her goose got cooked. Sorry not sorry! This book is best pared with: Frosted sugar cookies and a steamy mug of spiked cider! A purring lap-cat is an added bonus. Overall: This is the perfect Christmas cozy for those of us who enjoy dog-themed mysteries with a dash of romance. 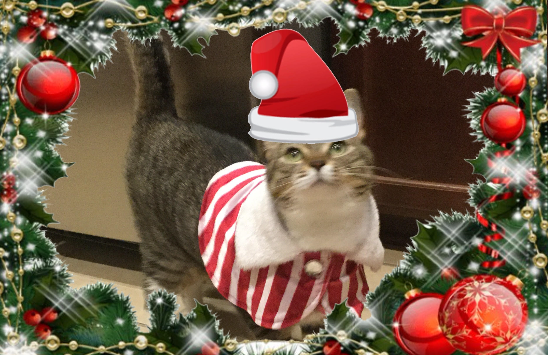 Posted on December 1, 2018 by Bubble Bubble Books and Trouble •	This entry was posted in Adult Paranormal and tagged Bethany Blake, cozy mysteries, holiday cozies, holiday mysteries, Lucky Paws Petsitting Mystery, Petsitter mystery. Bookmark the permalink.